In the wake of our visits with friends and family and being besieged by ridiculously cold temperatures, I have found myself craving super warming comfort foods. I frequently turn to soups in these situations, and in fact during our coldest day of the polar votex, I let the slow cooker do the work for me and we had some lovely Vegetable, Bean and Barley Stew. With that said, I do have my limits, and this is true even for soup. I wanted something warm and comforting that was a little more… solid. 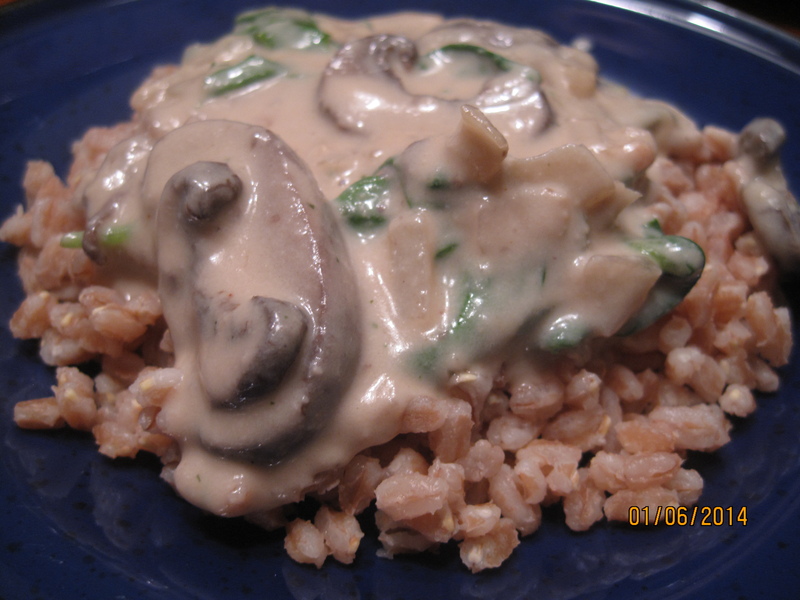 For inspiration I flipped through a few cookbooks, and landed on Kathy Hester‘s Chik’N Mushroom Casserole. I liked the sound of the creaminess with the mushrooms, but it was a little late in the day for me to start a slow cooker meal, and I didn’t want to use a meat substitute… So I read through her recipe a couple more times and re-imagined it a bit, borrowing from one of my other favorite cooks to mash those recipes together and make the dish I had in mind, Creamy Mushroom Stroganoff. For this super hearty dish I combined sauteed veggies with Annie’s (of An Unrefined Vegan) super awesome Cashew Cream (that she serves with an equally awesome Smoky Chickpea Stew) and some broth to make a creamy topping for one of my new favorite grains, farro. If you wanted it be more like Mom used to make, pick up some whole wheat egg noodles. 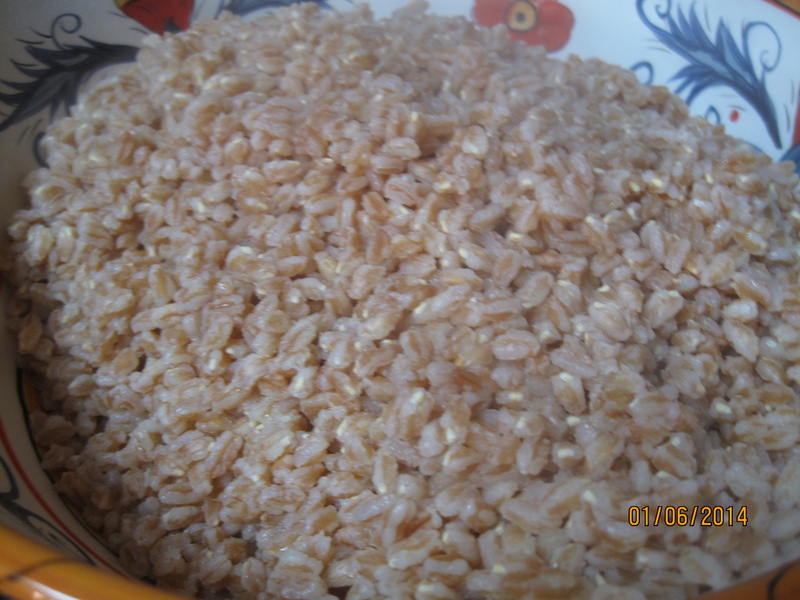 For a gluten free dinner, serve over brown rice. You’ll be glad you did no matter what you serve it on. Warm olive oil in a pan. Add the onions and celery and a dash of salt and allow to cook on med-low for several minutes, to soften both a bit. When the onions are translucent, add a splash of white wine if you like and stir to remove any pieces of onion yum that are stuck to the pan. 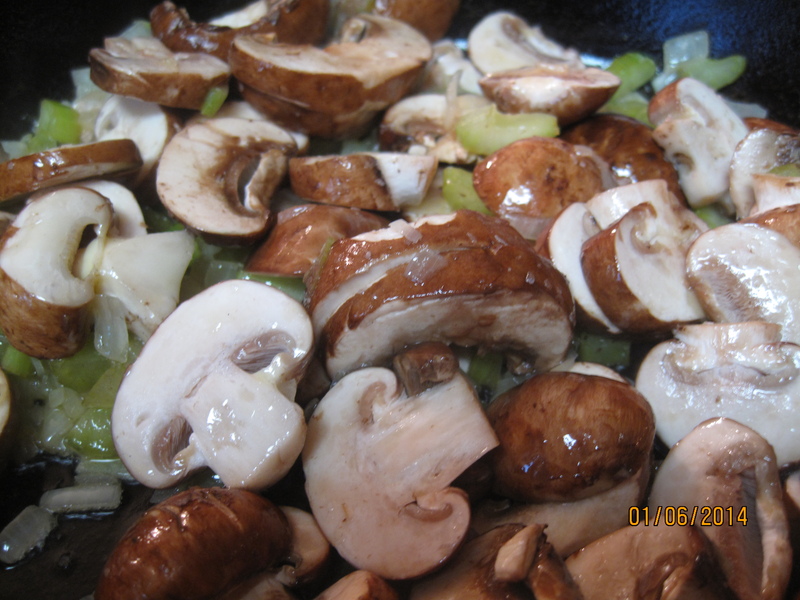 Cook the wine off and then add the mushrooms to the pan with another sprinkle of salt. The salt will encourage the shrooms to release their water so they don’t stick to the pan. 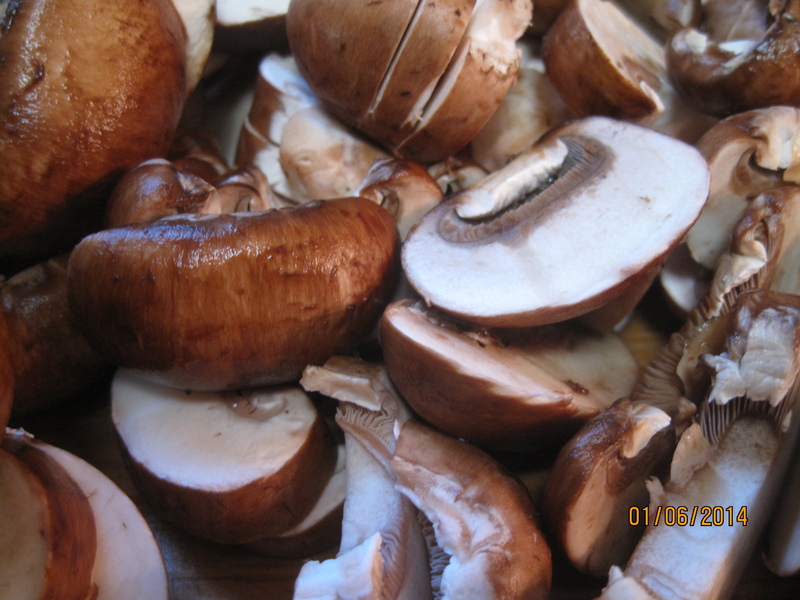 When mushrooms have softened a bit, add the veggie stock. Raise heat to medium and cook until some of the stock has cooked off, stirring occasionally. Add the cashew cream and stir to incorporate. Allow to cook until warm, stirring occasionally. When the thickness of the cream is to your liking, add the greens and stir until they warm and wilt (won’t take but a minute). Add paprika and stir. Serve over noodles or grain of your choice (being sure to make extra of whatever it is so you can use it for leftovers). We had ours with a huge green salad. So comforting, so hearty. Delish. 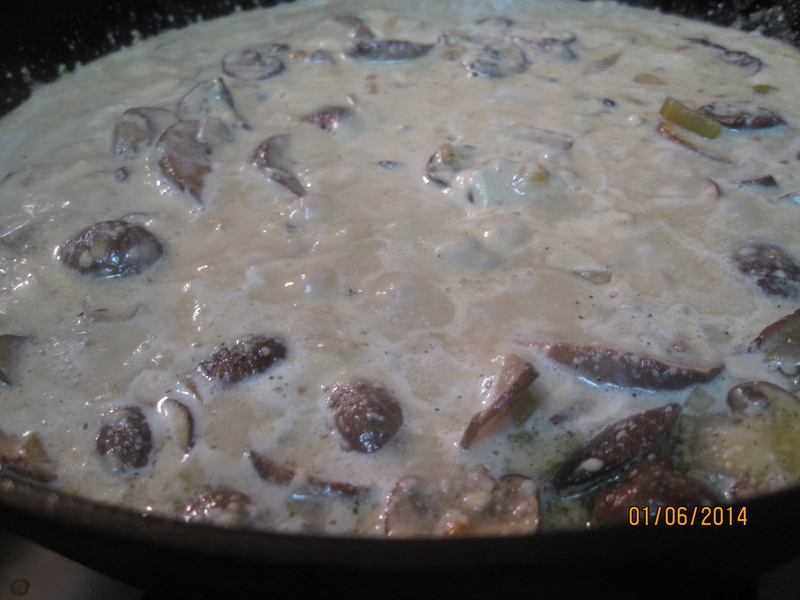 Creamy and mushrooms just go together. 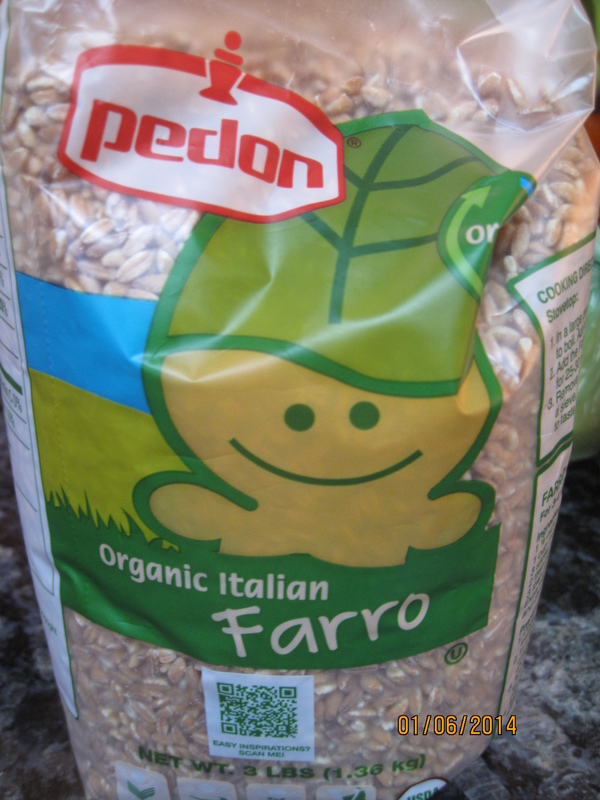 And rice. Thanks for the cashew cream shout-out :-). Mmm, sounds great! Probably the cashew cream is more nutritious than a typical white sauce with milk, too. 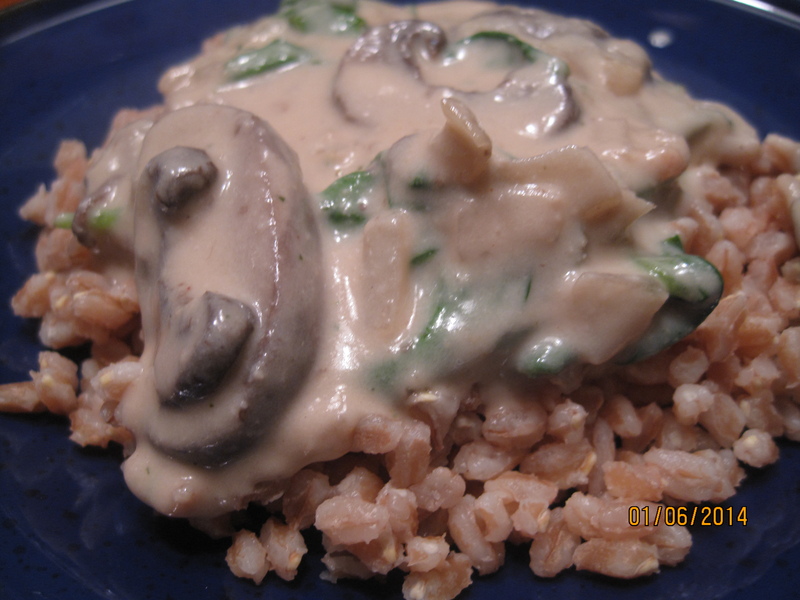 We love Stroganoff and your recipe looks delicious. Thanks for helping us celebrate Three Years at Full Plate Thursday. Hope you have a great week and come back soon! This sound delicious. I have to try it.